CLOSEOUTS. 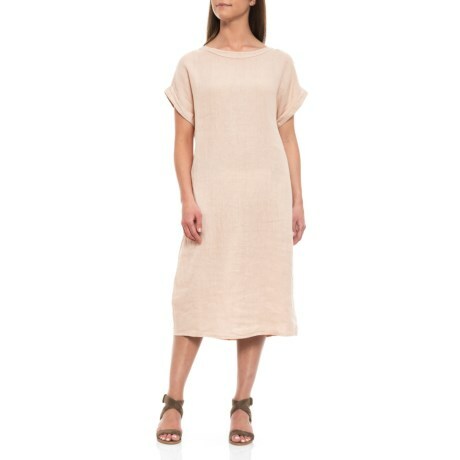 This Bella Ambra Italian linen midi dress has a simple, airy weave and a subtly curved silhouette for dressing up your workday. Available Colors: BEIGE. Sizes: S, M, L, XL.